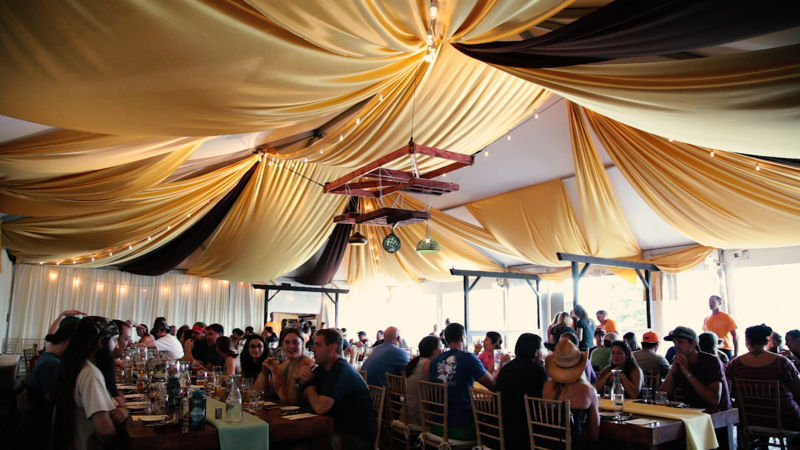 Festival Ate was an unprecedented pop-up restaurant at Phish’s Magnaball 2015 in Watkins Glen. Abigail Henson, owner of Syracuse-based restaurant LoFo, was this project’s champion. I was so excited to document this amazing event, but even more excited when I read about how it came about. I did a Q&A with Abigail in 2014 for Edible Finger Lakes. And according to Syracuse.com, Abigail said Phish representatives contacted her about the event after a reading a profile of LoFo in an issue of Edible Finger Lakes magazine earlier in the year. Um… Cool! Anyway, enjoy this little documentary vignette into the awesomeness that was Festival Ate, then visit Abigail and Chef Luke at LoFo.